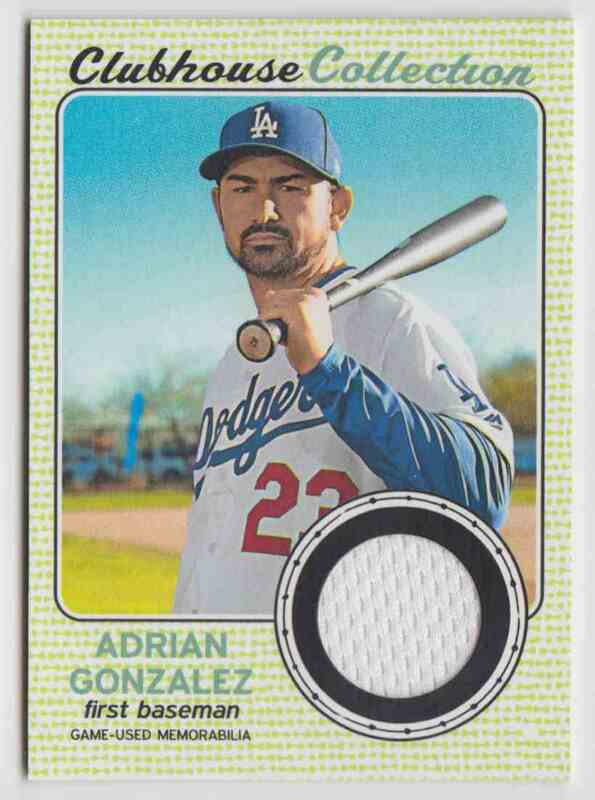 This is a Baseball trading card of Adrian Gonzalez, Dodgers. 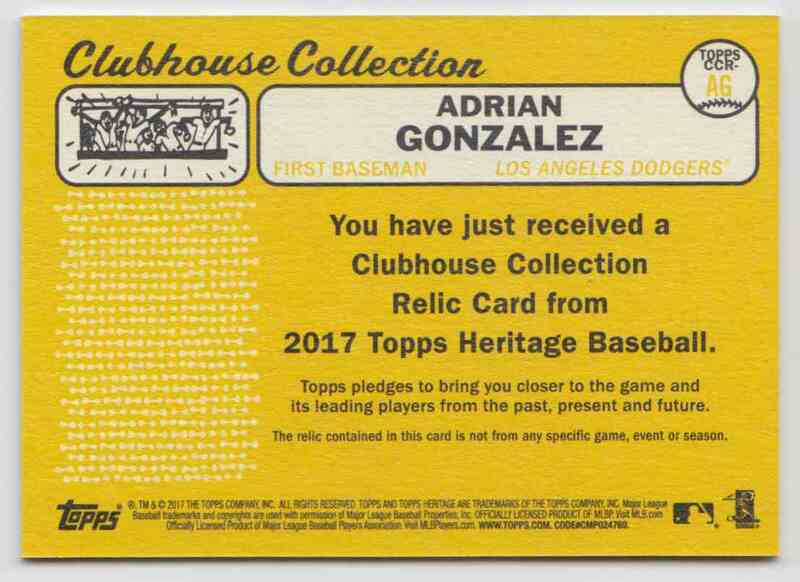 It comes from the 2017 Topps Heritage High Clubhouse Collection Relics set, card number CCR-AG, embedded Jersey. It is for sale at a price of $ 3.00.